inspire people to live their fullest lives. 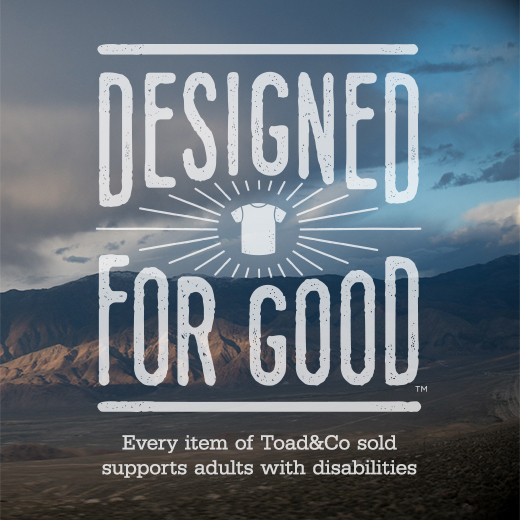 Formerly known as “Horny Toad” brand, they are known for organic cotton styles, a cool travel collection and their new Trail to Tavern collection. You buy they give. 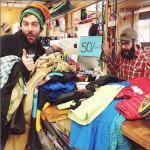 Click to learn more then visit us in downtown Wausau to shop their awesome clothing for men and women. Toad’s tagline is “Keep Good Company.” It’s fitting on so many levels. Visit their site to learn and be inspired. 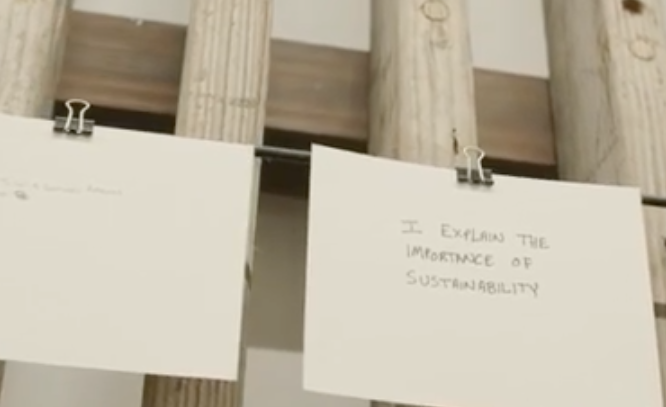 Find out why they are Good Citizens, how they Design for Good, create Access for All, their commitment to Corporate Responsibility, Design Philosophy, eCo Fabrics and Fibers and much more. If you bought your outerwear at Shep’s and you’ve worn it around making great memories and looking awesome along the way, chances are it will be time for a wash at some point. First rule: follow manufacturer’s printed instructions, usually located on a tag inside the garment. Or, visit their website for fabric and care information. Any manufacturer’s warranty may be nullified if their instructions are not followed. Second rule of thumb: unless it’s faux fur, don’t take it to a dry cleaner! Their process and chemicals will ruin your waterproof/breathable garment. Happily, you can wash and maintain your performance outerwear easily at home whenever you feel it’s time to be refreshed. If it’s looking dirty or water is soaking through the shell fabric, then it’s a good time to launder it again. Your performance outerwear has two lines of defense between you and the elements: the DWR finish on the face (outer) side of the fabric, and waterproof/breathable coatings or laminates on the inside of the fabric. Waterproof/breathable coatings and laminates will last for the lifetime of your garment with proper care. All such coatings have microscopic pores that are too small to allow liquid water to pass through, but large enough to let water vapor escape. Dirt and grime can disrupt the waterproofing and breathability by clogging the pores, which lets water soak through and also prevents water vapor from escaping. Careful cleaning and drying will reopen these pores and restore the effectiveness of the coatings. The DWR (durable water-resistant) finish is applied to the face side of the outerwear fabric, enabling it to resist exposure to ultraviolet light. If you splash some water on the outside of your garment, the water should bead up and roll right off. If it doesn’t, then try careful washing and drying to restore the DWR finish. If careful cleaning does not restore the effectiveness of the DWR finish, you can reapply a DWR finish yourself. 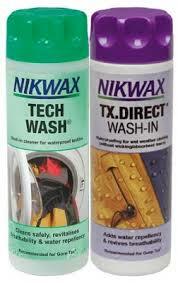 We recommend Nikwax TX Direct, which can be sprayed on or washed in. DO NOT DRY CLEAN. Check the care tag that is attached. Unzip all the zippers and turn your garment inside-out. Wash in COLD water, separately. DO NOT USE FABRIC SOFTENERS OR BLEACH. Fabric softeners will clog the pores of the garment. Bleach will ruin it. Use a non-detergent cleanser or very mild powder detergent. We recommend Nikwax products. Minimize soap usage. Better few bubbles than many. If you’re using a wash-in DWR restorer, add it to the wash cycle. Use your machine’s GENTLE cycle, or hand wash.
Rinse throughly. Even better, rinse twice. Gently squeeze out most of the water. DO NOT WRING. Wringing the water from your garment can cause the waterproof/breathable coating to separate from the inside of the shell fabric. Use a powdered non-detergent cleanser. 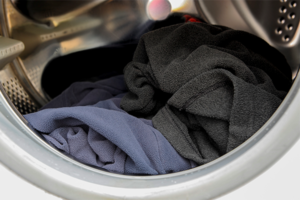 Liquid detergent can clog the pores in the waterproof-breathable coating. If one is not available, use a very mild powdered detergent, and use it sparingly. Powdered detergents rinse more throughly than liquid detergents. Gently rinse your garment, preferably twice. If you must use a grocery-store brand, we recommend Dreft detergent, used sparingly. LINE-DRY your garment until it is completely dry. Do not hang it over a heat source, which can damage the fabric and the coatings. If you want to restore DWR and did not a wash-in type, you may apply a spray-pn DWR restorer after washing. We Offer Nikwax products alongside our great selection of premium outerwear. Nikwax Down Wash, a non-detergent cleanser for outerwear and mid layers insulated with down. 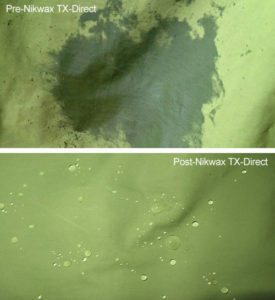 Nikwax TX Direct, Wash-in or Spray-on. Can’t Get Enough of Shep’s? Join Our Team! 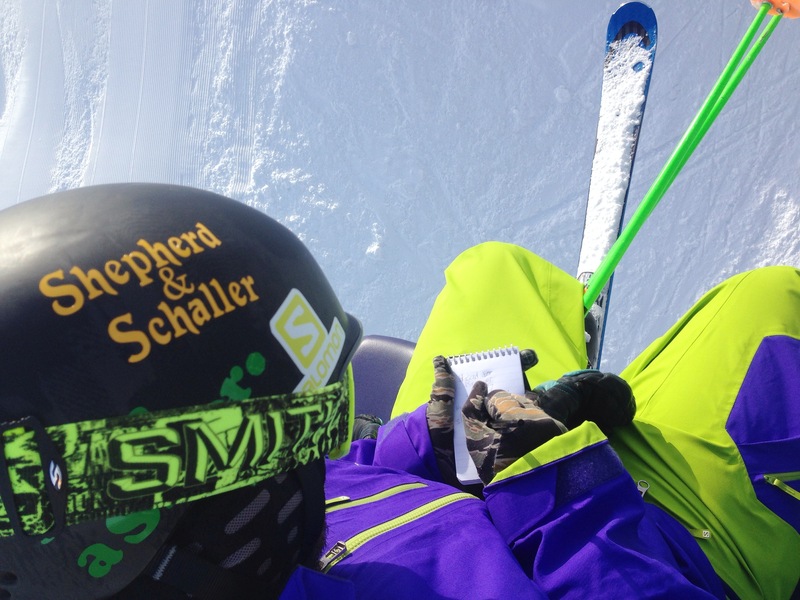 Shepherd & Schaller is Wausau’s Outdoor Store. 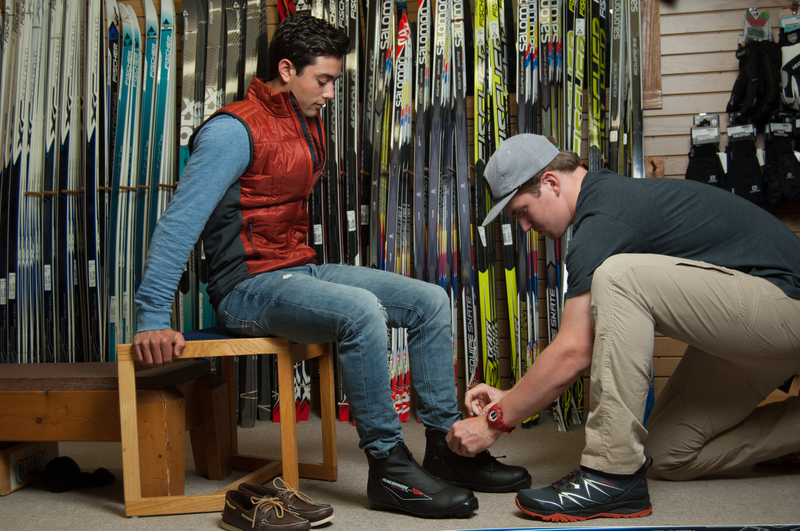 Serving central Wisconsin since 1949, we proudly offer the finest ski, bike, camping, water sports and paddling equipment, active apparel, and footwear in the region. We’re all about the experience, ours and yours. 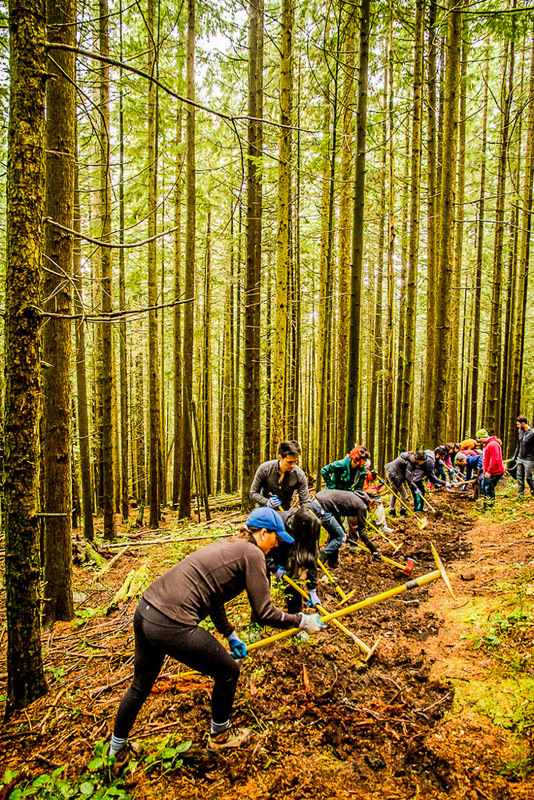 We’re tuned-in and turned-on by an active outdoor lifestyle, year-round. Do you walk the talk? We’re always looking for the right people-person. Dependable, friendly, outgoing, detail oriented, energetic, supportive and a self-starter. You work as hard as you play. If you can see the big picture to provide support and solutions to our customers and teammates in a fast-paced, multi-faceted environment, we should talk. Spend your free time on the trails or the water? 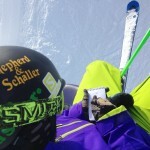 Pour over ski equipment blogs? Love sharing your passion? Our teammates are the face of our business, providing expert and enthusiastic advice to guide people to products that meet their goals. Are you willing to support back-shop functions and love learning? That’s what it takes, because this is no big box shopping experience. We offer daytime, evening and weekend shifts, but not late nights. You’ll have time to play, for classes and for family. Though we’re flexible about scheduling and will work around your other obligations, you can expect to work key time frames including the holiday shopping season and ski season event weekends. Lifting and carrying up to 30 lbs. is required. Couch potatoes need not apply. Tell us about your passions. Drop a note, send a video or stop by for a visit. There’s room to grow with us to create a satisfying career here in Downtown Wausau, WI. If we’re a good fit for each other, you’ll be responsible for the customer experience on the sales floor and will fully serve the customer base by connecting with them, assessing their needs, recommending products and encouraging the sale. 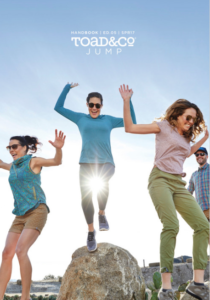 * Must have a passion for the outdoor lifestyle with proven experience in one or more of the following: bike, ski, snowboard, camping, water sports, athleisure and technical clothing, footwear. * Proven ability to connect with and engage customers and deliver outstanding customer service every day, with a positive attitude. * Able to freely access all areas of the store including sales floor, stock area, workshop and register area by standing, walking, stooping, crouching, kneeling and climbing a ladder, ability to lift and/or move up to 50 lbs. Ability to earn advancement to a full-time position is up to you! Author tshepherdPosted on January 30, 2017 March 13, 2018 Categories Community, UncategorizedTags Career, Customer Service, Help Wanted, WausauLeave a comment on Can’t Get Enough of Shep’s? Join Our Team! 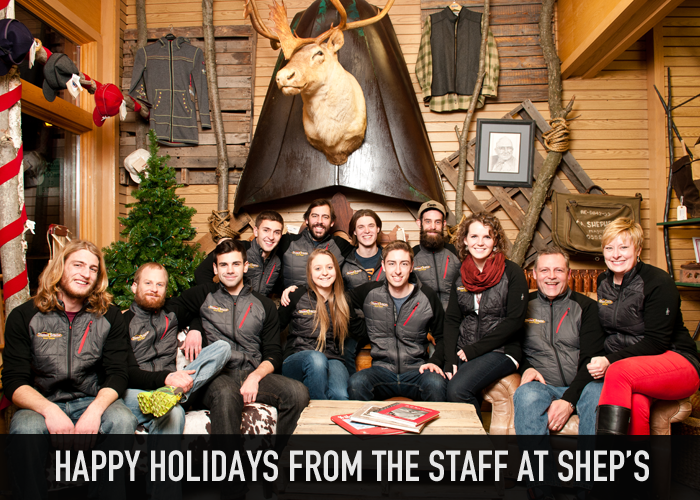 It’s hunting season and Shepherd & Schaller is making it fun for everyone. 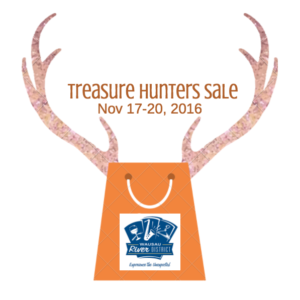 Shop during our Treasure Hunter’s Sale Nov 17-20 for discounts and prizes that will be easy to find. Peruse our clothing and footwear departments for items tagged with a special Orange Deep Discount sticker! “Shoot” a photo in-store with your “trophy” and post it to get $5 in ShepsBucks to use during your next visit. 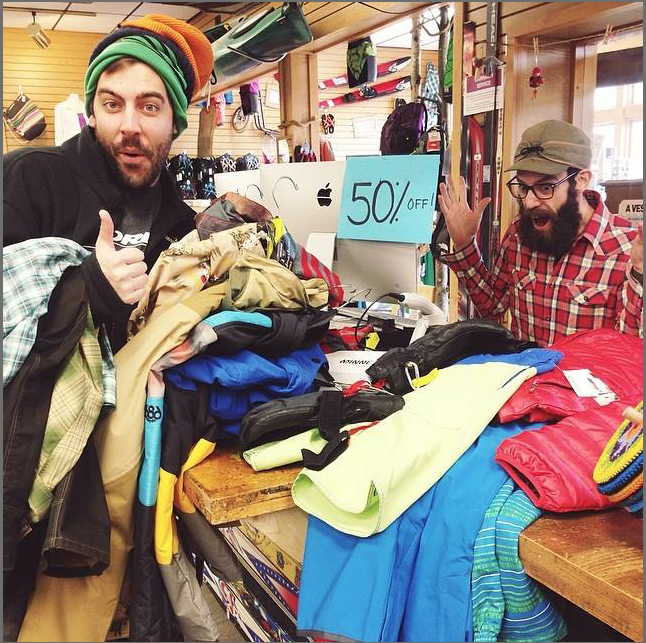 We’ve even hidden some exciting prizes in the ski department for you to stalk and savvy hunters will go home with great treasures from our downtown neighbors in Wausau’s River District too! Wausau Rotary Club, Wausau Kiwanis, Wausau Lions, Downtown Wausau Action Council, River District Wausau, Main Street Wausau, Central Wausau Progress, Wausau Area Chamber of Commerce, Wausau Board of Education, Grand Theater Foundation, The Women’s Community, Blessings in a Backpack, Festival of Trees supporting Aspirus Comfort Care & Hospice, Ski for Youth, Granite Peak Ski Team, Granite Peak Ski Patrol, Rib Mountain Ski Club, Wausau Nordic Ski Club and countless schools, teams and youth programs. But you can feel good about your purchase at Shep’s for another reason too. Many of the brands we stock feel the same way we do about corporate responsibility, recycling, treating people fairly and paying attention to the impact they make locally and globally. 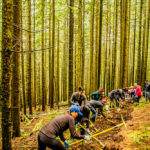 Patagonia is a company famous for it’s environmental and social consciousness. 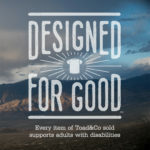 Their mission statement: “Build the best product, cause no unnecessary harm, use business to inspire and implement solutions to the environmental crisis.” Visit their website to read about their efforts related to the supply chain, sourcing, Fair Trade and much more. 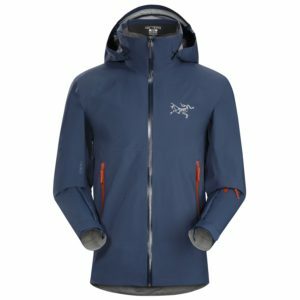 Arc’teryx is a technical outerwear company known for it’s exquisite quality and craftsmanship. 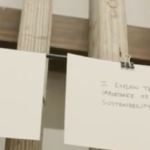 They too values long term thinking on environmental stewardship, responsible manufacturing, and community engagement. Prana is committed to Fair Trade and Sustainability practices that do no harm. They have much to recommend if you are into being a Conscious Consumer.